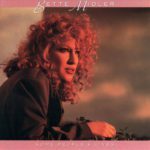 Some People’s Lives is the seventh studio album by American singer Bette Midler, released on the Atlantic Records label in 1990. It contains one of her biggest hits, “From a Distance”, which won the songwriter Julie Gold a Grammy Award for Song of the Year in 1991. The Some People’s Lives album became one of the biggest commercial successes of Midler’s musical career, peaking at number 6 in the US and number 5 in the UK and it was later awarded double platinum by the RIAA for sales of over two million copies in the US alone. It has sold 7 million copies worldwide. Produced At – Deniz Productions, Inc.